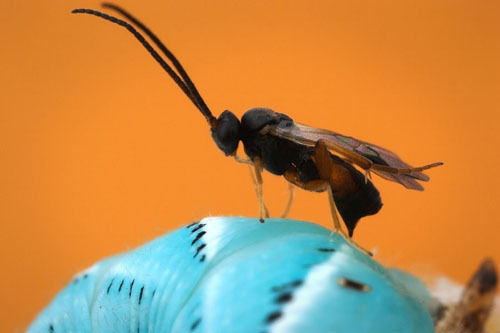 The lab specializes in parasitoid Hymenoptera, especially braconid wasps that attack caterpillars. Our work spans a broad range of disciplines, however, from classical descriptive taxonomy to tropical community ecology to genomics and phylogeny. We also have several projects dealing with phylogenetic methodology, especially with respect to networks. (Photo by Alex Wild, former postdoc in the lab).